Among the large number of sports that humans have created and played, bowling is the one closest to my heart. I remember my first encounter with this sport when I used to accompany my eldest sister. Our parents were very strict, they did not allow my sisters to go on a date with male friends and suitors without chaperon. I'm the usual chaperon. 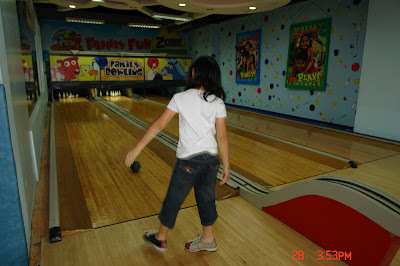 My sister and her friends would usually spend their time at bowling lanes. I'd play with them, even if I was just a 'saling-pusa'. From there, I learned the basic and knew that this game is for me. When I was working with Medicard in 2001, we had a mini tournament in Marketing Department. I won the second place and brought home a trophy which is proudly displayed at home. I'd like my children to learn more of the sport, so John and I bring them at Fun Ranch for some quick throw here and there. Who knows, we might produce a future Bong Coo and Paeng Nepomuceno. 1. Warm up and stretch before bowling. This works joints, tendons, ligaments and muscles. 2. Bowling helps promote excellent muscle exercises . 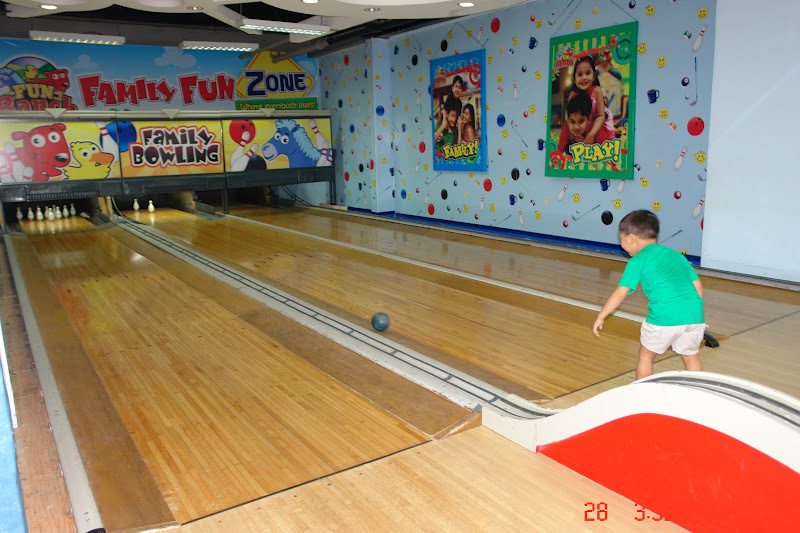 Just walking around in the bowling alley, and along the lane in the process of trying to get yourself a strike or spare, you will be doing enough exercise for the muscles in your legs to get a small workout. 3. 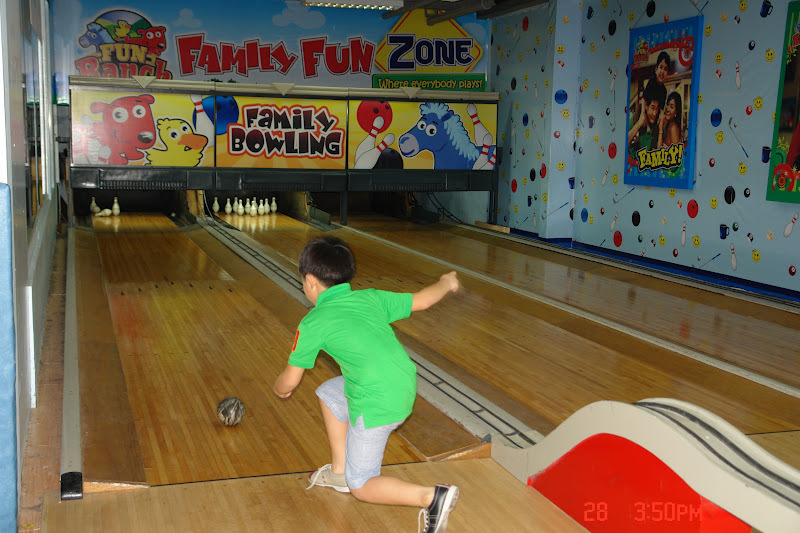 Bowling can burn off calories quickly while having fun! As you flex your muscles with every twisting, swinging and turning motion that you perform while you are bowling you can actually find yourself burning a little bit of the excess body fat you have accumulated over the years. 4. Bowling can help you to make new friends. There are quite a few psychologists that recommend building more friendships with dfferent people as this has been shown to improve the performance of your heart muscles and increase your longevity. If you are suffering from emotional stress then you can severely shorten your lifespan and cause harm to your body. Thus, you should build your friendships and enjoy yourself a lot. wow! I've looking for bowling lanes where my daughter could play. duck pin ang tawag dyan di ba? will visit fun ranch very soon. We had a bowling tournament in our department last month. my team won second place. then we are getting hooked to it and my division wished to continue playing so starting last Wednesday we have this sort of tournament for our division only, we are 10 in the group.